No customers can go out to fields after 4PM. We will be closing on Friday, December 21st at 5pm. No Chain Saws Permitted! We Provide Bow Saws! Bow saws are provided for all customers. Chainsaws are NOT allowed for insurance reasons. Sawzalls are allowed, but blade MUST be removed when not in use. We thank you in advance for understanding our saw policy! Petting Zoo will be visiting Unangst Tree Farms for our Christmas Season! Please come and feed our four-legged friends. They are waiting for you! 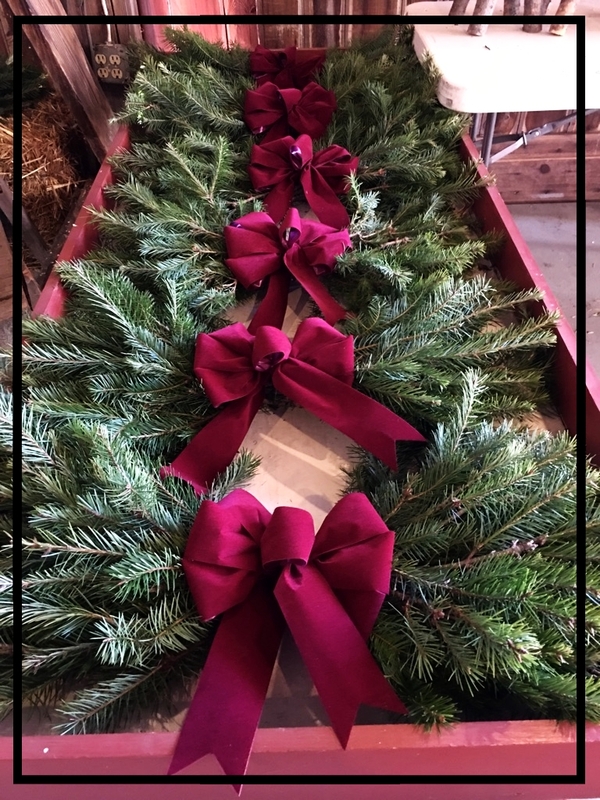 We have a large variety of wreaths and swags. Window Swags Make A Lovely Addition To Any Home. Unangst Tree Farms wishes you a Very Merry Christmas and a Safe and Happy New Year!